Plans are well underway for the reenactment Rimutaka Crossing, commemorating the reinforcement group marches from Tauherenikau, and later Featherston, across the Rimutaka Range to Trentham Camp. The marches began in September 1915 and continued to autumn 1918. 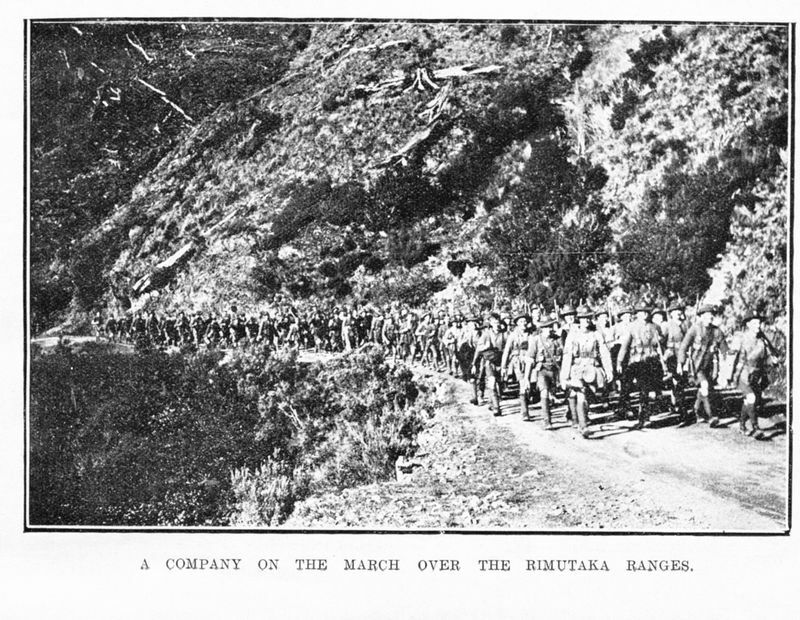 The Rimutaka Crossing Group has selected Sunday, 27 September 2015 as the date for the reenactment. The marchers will leave from the Featherston Military Camp site early on Sunday morning, march through Featherston and climb to the Rimutaka Summit where a brief ceremony and unveiling will mark the World War One treks. A meal will be served before the group marches downhill to the Pakuratahi Bridge. The group will travel by bus to Upper Hutt, march through the CBD and bus onward to Trentham Camp. The group will march into the camp and be welcomed, as part of an open day there. The marching group will be limited to about 200. Marchers are expected to be fit enough to cover the 25km walk. Priority will be given to descendants of World War One marchers.